Make it a very happy Easter with this delightful & fun gift basket! 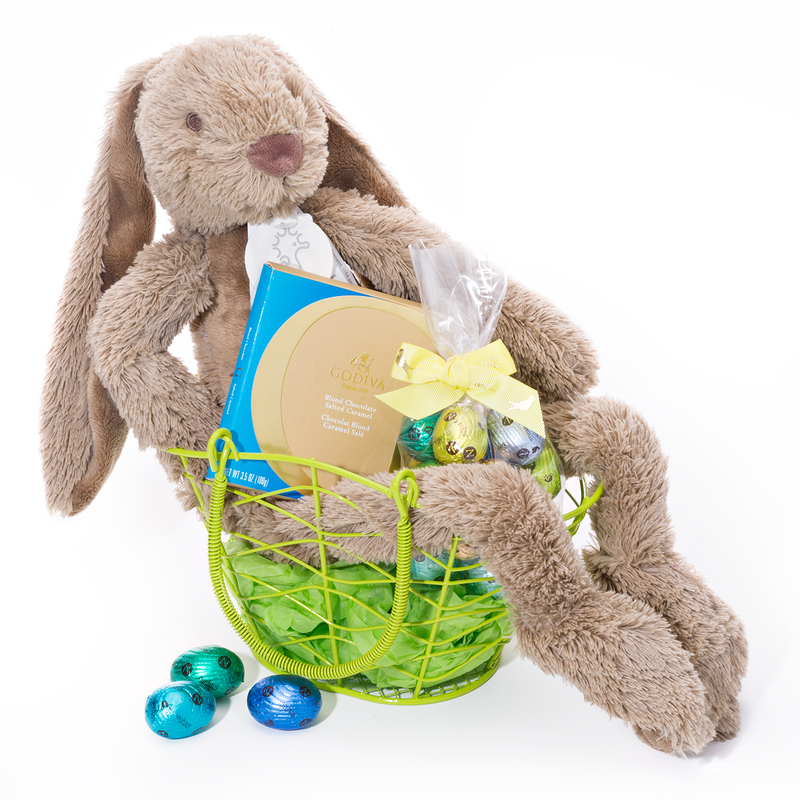 A soft plush bunny named "Richie" from Happy Horse is the center of this charming Easter gift. 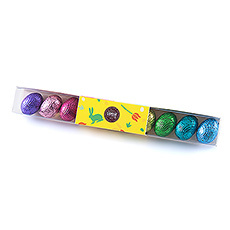 Happy Horse creates all its products in accordance with the highest European safety standards, backed with a CE safety label. 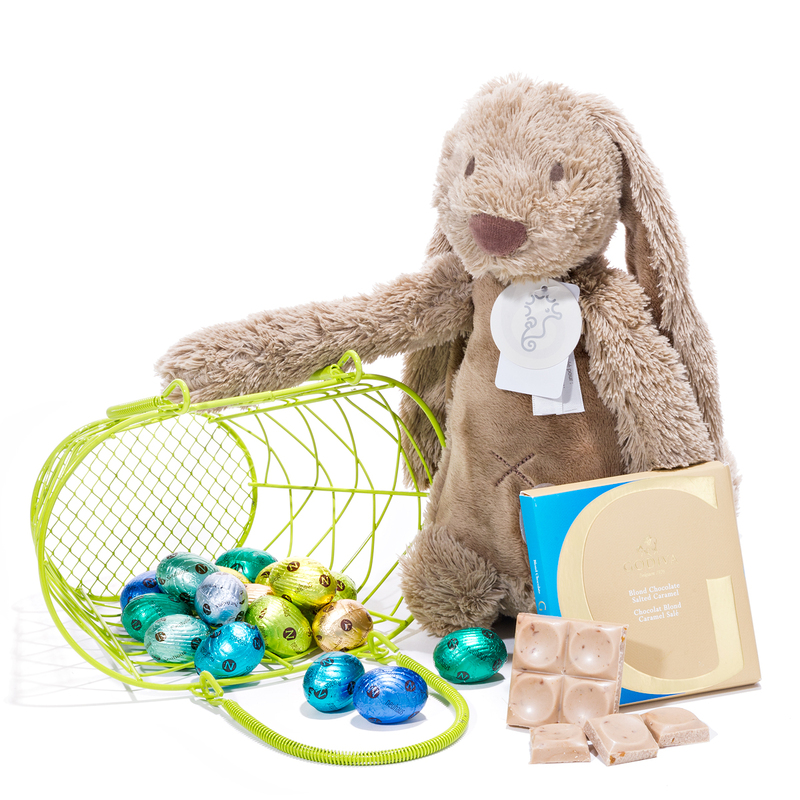 The Easter bunny is accompanied with delicious Belgian chocolate treats. 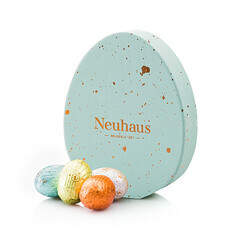 Chocolate lovers of all ages love Neuhaus gourmet chocolate Easter eggs in colorful foil. 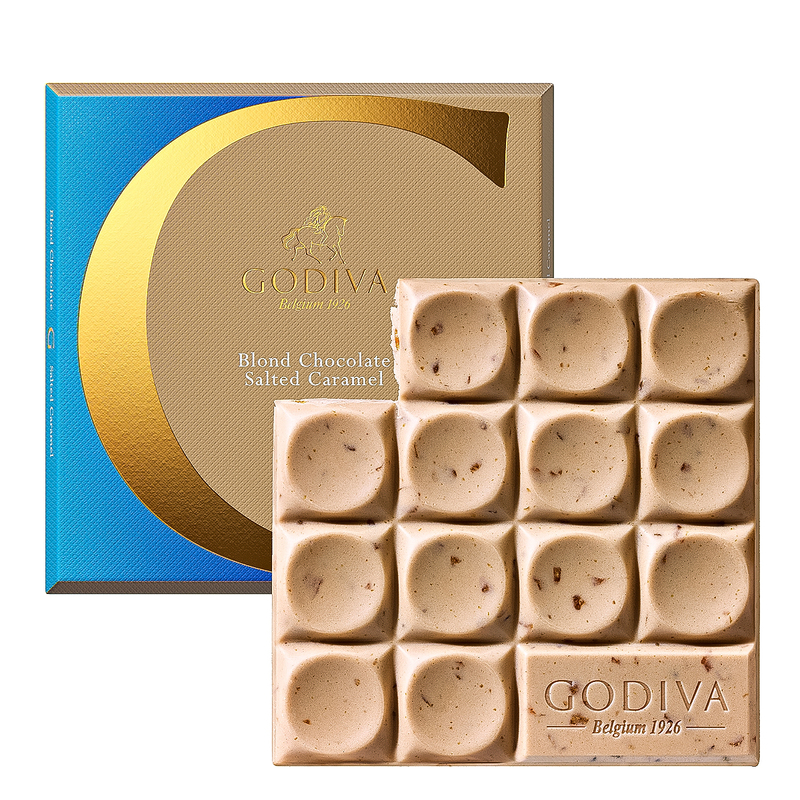 A "G by Godiva" white chocolate tablet with salted caramel completes this wonderful gift, which is presented in a cheerful green metal basket.